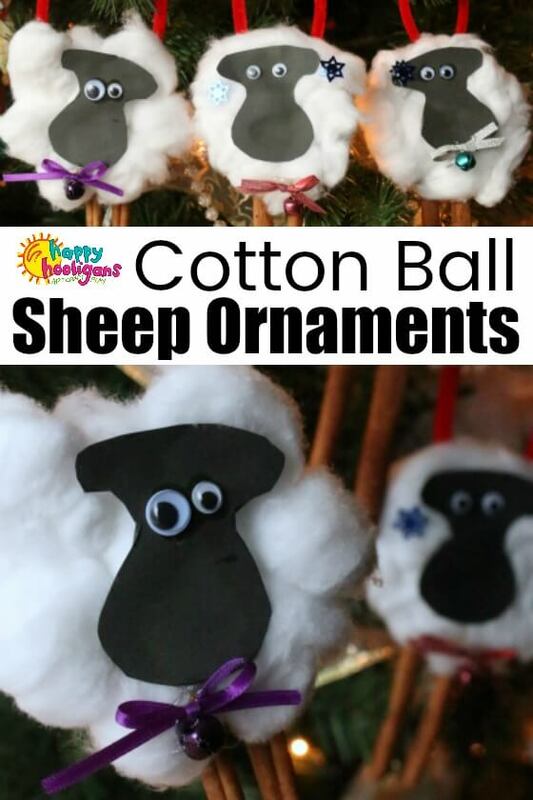 Cinnamon sticks and cotton balls make this SHEEP ORNAMENT CRAFT a fun sensory experience too. Yay! Another adorable homemade ornament for the Christmas tree! My daycare hooligans had so much fun making this adorable sheep craft ornament the other day. 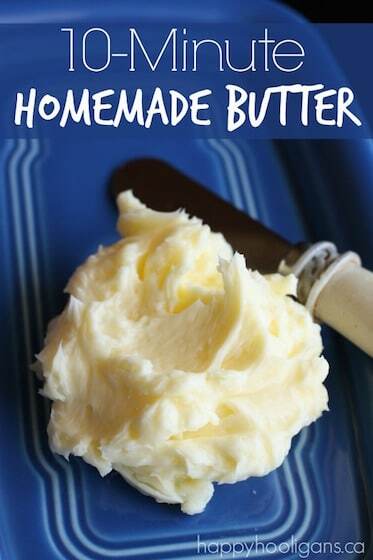 It’s the sweetest little Christmas craft, and it’s really easy to make. 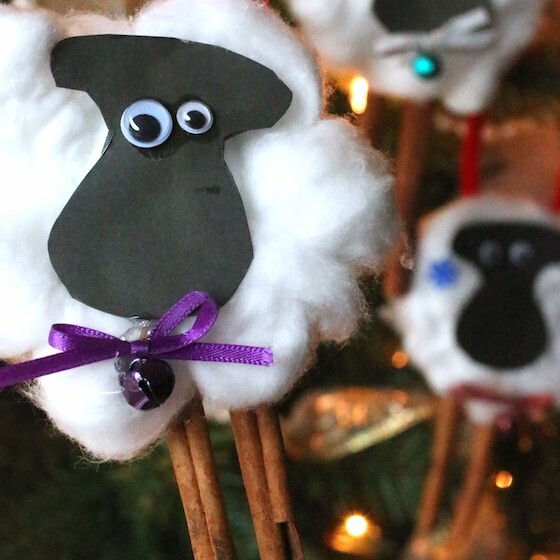 Older kids will be able to make these sheep ornaments by themselves if they’re comfortable with a low heat glue gun. 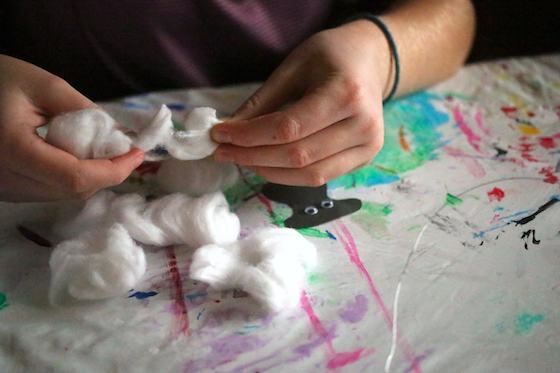 Toddlers and preschoolers will enjoy pulling apart the cotton balls and gluing them to their sheep, but they’ll require some assistance with a few of the trickier steps. 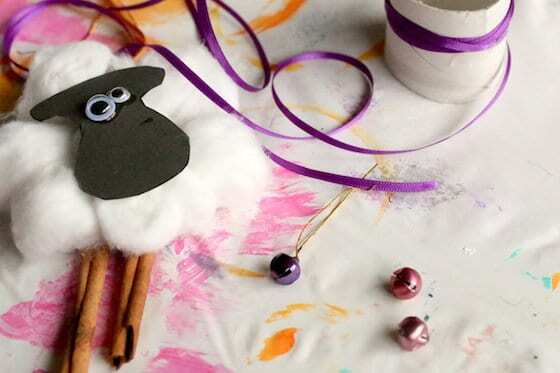 You can pair the younger kids up with an older child to make this sheep ornament, or you and your toddler or preschooler can do this craft together. 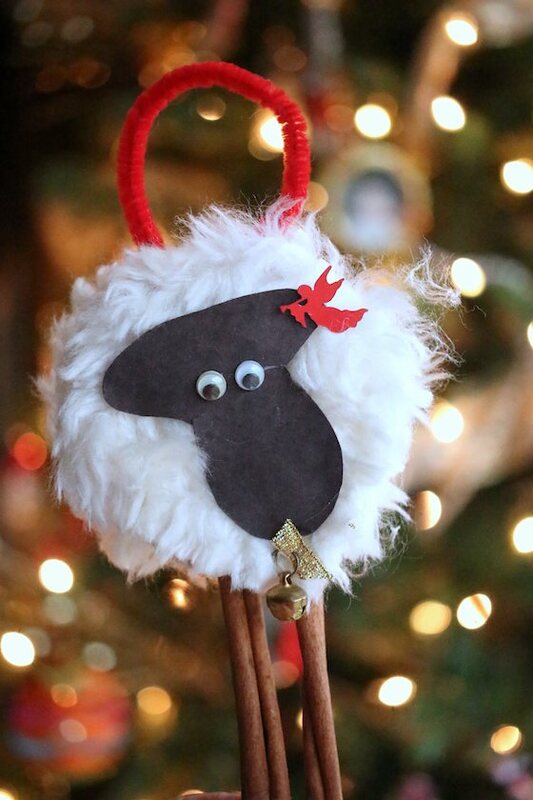 The inspiration for this sheep ornament craft came from one particular sheep ornament that’s been hanging on my Christmas tree for years. When my younger son was in kindergarten, his teacher gave all of the students a book for Christmas, and along with it, the homemade sheep ornament that you see in the photo below. This little sheep, with his cinnamon stick legs and jingle bell, is one of the quirkiest ornaments I hang on the tree every year. I love him so much. I’ve been meaning to replicate him and do a sheep ornament craft with the hooligans for years, and the other day, we finally got around to it. My son’s teacher used faux fur for her sheep’s wool, but we didn’t have any on hand, so we improvised with cotton balls. The kids had a lot of fun making their sheep and they just loved the way they turned out. 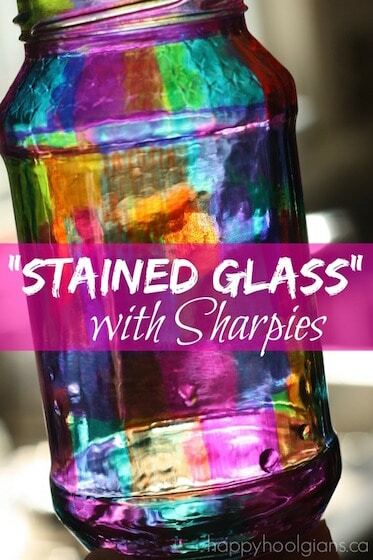 I love using supplies and materials that engage the senses when we’re crafting. 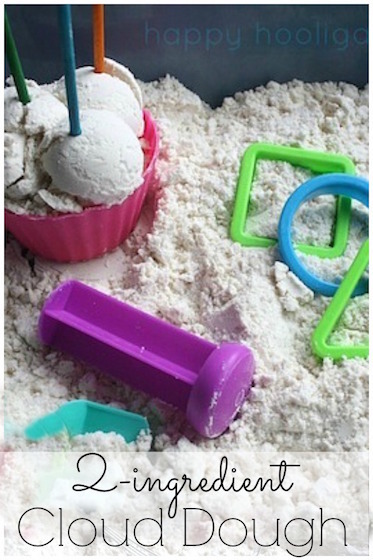 Remember our scented sandpaper gingerbread ornaments? 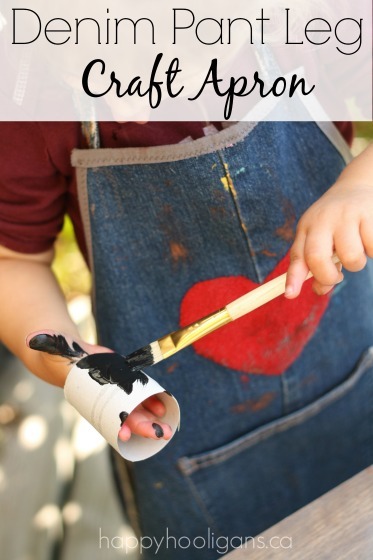 Using real buttons, tin foil, tissue paper and fabric scraps, for example, provides a much richer sensory experience than construction paper ever could, so when possible, I like to give the kids interesting and authentic materials to work with when we’re crafting. 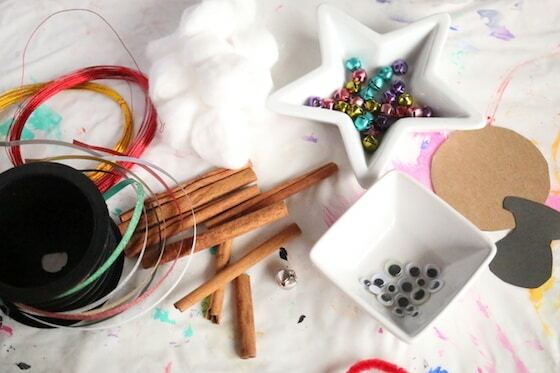 The cotton balls and cinnamon sticks we used for our sheep ornaments added a wonderful sensory element to this craft. I overheard one hooligans say that she loved the feel of the cotton balls and that they felt just like cotton candy. Another hooligan exclaimed “Mmmmm, it smells SO GOOD” when they were handling their cinnamon sticks. Let me show you how we made our adorable sheep! Begin by cutting a circle from a piece of thin cardboard. A cereal box or something similar will do. This will be the sheep’s body, and what your kids will glue their cotton balls to. 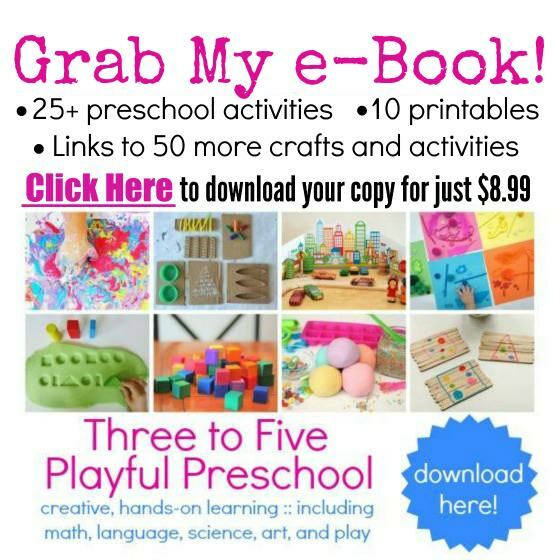 Now, have the kids stretch and fluff their cotton balls and glue them all over the cardboard circle. 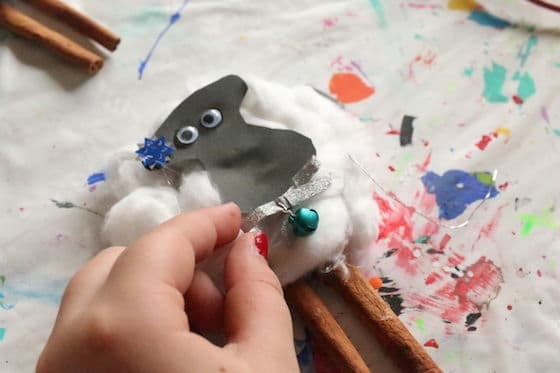 When the kids have finished gluing the “wool” on their sheep, they can use a low-heat glue gun to attach the cinnamon stick legs to the back of the cardboard circle. Cut your sheep’s face out of a black piece of construction paper or card stock. No need to shoot for perfection here. You just want a wonky figure-8 kind of shape that gives the illusion of a sheep’s ears and long nose. Glue on the googly eyes and then glue the sheep’s face its body. 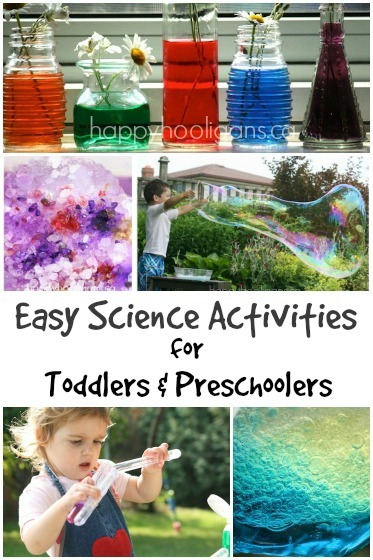 Things will get a little tricky for younger children here, as some advanced fine-motor skills are required for this part. Thread a piece of thin wire through the top of the jingle bell and then twist the ends of the wire together to secure it. My son’s sheep ornament has a short piece of ribbon attached to the jingle bell, but we got a bit fancier and made little bows for our sheep. We attached the jingle bell to the bow by twisting the tail end of the wire around the bow, and then we used some hot glue to glue the bow and bell just under the sheep’s nose. To finish, you can glue something small and decorative to your sheep’s ear. We used metallic stars, but sequins, craft gems, or even a small Christmas sticker would work. 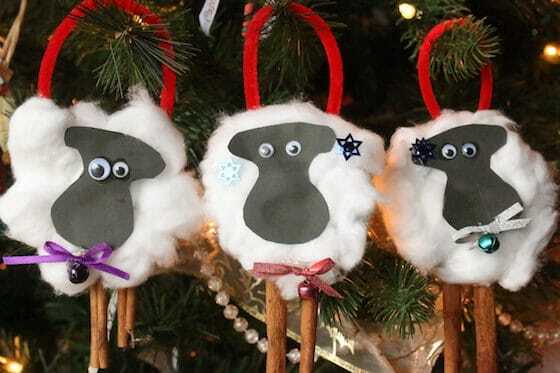 To hang your adorable sheep ornament craft on your Christmas tree, glue half of a pipe cleaner to the back of your sheep’s body.